With links to the Full Program content where applicable. My first semester of college I was lucky enough to get one of thee most inspirational professors of CSUF. To this day, I can’t thank him enough for being an inspiration and for helping not only me but many of my classmates, open our eyes to see the good in life. Please watch and share!!! Jack is unforgettable. Hands down the most influential and inspiring Professor I’ve had at CSUF (undergrad & postgrad). The university is lucky to have him! 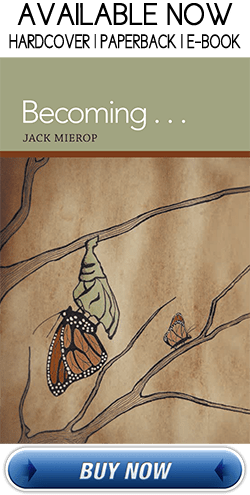 Jack Mierop you’re such an inspirational person, you changed my life in more ways than one! To view the full program of the Belonging event, Click Here. Thanks, always, to Titan TV! On Cameras and Edited by Christian Peñuelas. Thanks to Brian Buddine for the invitation to speak at this event! On Cameras and Edited by Christian Peñuelas. Thank you! To view the full program with all the speakers in the event, Click Here. Watch the latest episode of In Focus, with CSUF Professor and Motivational Speaker Jack Mierop! Tune in for information about this year’s Wellness Symposium, his latest book (as well as a little inside to the concept of his book series), and info about the CSUF TED TALKS. Show host: Cassidy Jo Fortin. Producer: Kate Ashton. for creating this film of the event! Mike Bender, Chanel Stansel, Shelby Dalton and a huge debt of appreciation to COMM Week and COMM Week liaison Shereen! To view the full program of this event, Click Here.